THE HOME Office has declined to comment after a group of Turkish students travelling to Shetland missed their flight after being held up at passport control in Aberdeen Airport last week. The seven 13 to 15 year olds and their two teachers, from the southern Turkish city of Adana, had to spend a night in Aberdeen before being able to continue their journey. Shetland MSP Tavish Scott has called on UK Border Agency staff to be more welcoming. 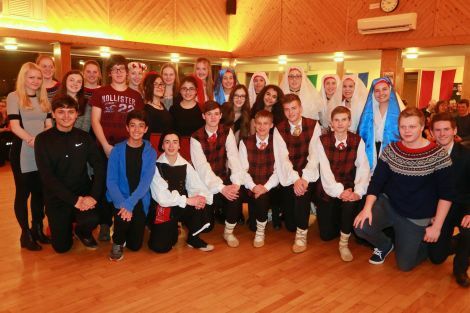 The Turkish group, as well as pupils from Latvia, Norway, Sardinia and Brae High School, was participating in a five-way student exchange programme part-funded by the European Union Erasmus programme. In a letter to Shetland News, Brae High School parent council chairman Paul Bendix said the group was unnecessarily inconvenienced. “UK Border Agency staff assured them that they would delay the flight to ensure they made their connection, once their documentation had been checked,” he said. “After some considerable time, UK Border Agency cleared them for entry to UK. “Sadly this helpful assurance turned out to be completely bogus. By the time they were eventually released by the UK Border Agency, Flybe had already closed check-in for their flight. When Flybe insisted the following day that the group had to pay for their tickets again since they had missed the previous night’s flight, the local MSP was brought in to help. Scott said on Tuesday that after speaking to Aberdeen Airport and negotiating with Loganair/Flybe the airline agreed to waive their fares and also met the extra accommodation cost. He said there were claims that the Flybe flight had left earlier than scheduled but this was vigorously denied by Loganair. Scott said: “Ten out of ten for Loganair. It was also a very important signal about welcoming people both to Scotland and into Shetland. The folk from Turkey should not have experienced these disruptions. Bendix added: “And if this all seems like Johnny-foreigner being inconvenienced – and who cares about that?